Combined with webpack, a bundling tool, you have a powerful frontend development environment in your hands. The SurviveJS effort consists of two books that help you to adopt these technologies. They are available as a bundle. SurviveJS - React shows you how to build a simple Kanban. The idea is that if you can build a simple application, you can probably build something more complex after that. The first application is always the hardest. In addition to fundamental React knowledge, you will pick up design techniques as you develop a kanban application step by step and learn to understand it in detail. While implementing the Kanban step by step, you will pick up basic ideas of how to compose your application, how to manage data related concerns, how to style your application, how to implement drag and drop. Those are just few topics of the many covered. Even though the application looks simple, it's complex enough to illustrate potential problems such as reference handling. The React book is based on a boilerplate. If you want to understand the techniques used in the boilerplate itself, check out the webpack book above. 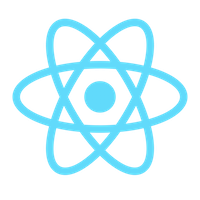 Even if you know React well already, there might be handy ideas to pick up. The book effort started early 2015 and has seen steady releases since. Each release has improved the book somehow as the React ecosystem keeps on changing.